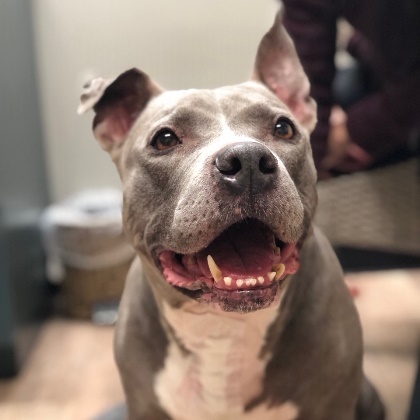 April 11th is National Pet Day, a great time to celebrate our pets…and to raise awareness about the many dogs, cats, and other animals waiting for their new forever families in shelters right now! Pictured above is recent FACE Success Story Pup, a 9 year old Staffordshire Bull Terrier diagnosed with intervertebral disc disease (IVDD). Pup received life-saving spinal surgery with the help of a FACE grant and is now doing well! Meet FACE Success Story Goober! 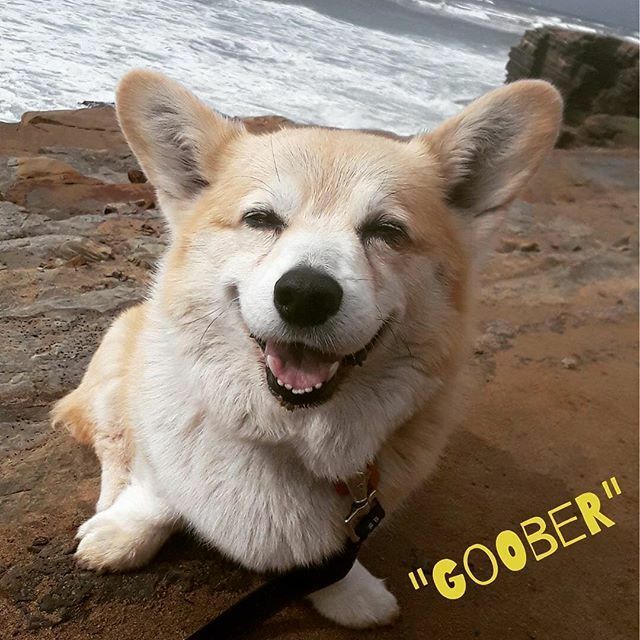 This sweet pup enjoying a seaside adventure is a 9 year old Corgi named Goober. Goober loves a good meal, so his mom was concerned when he suddenly stopped eating. Our friends at Morena Pet Hospital discovered that Goober had a foreign object lodged in his throat. Foreign body obstruction is a common veterinary emergency in dogs. Goober needed surgery, but his mom is on a limited disability income. Morena referred her to FACE, and she applied for a grant for financial assistance. We were able to make a pledge towards Goober’s care and wish Goober and his mom many more happy days at the beach! Meet FACE Success Story Coyote Apollo Ace! This cute pup with a very fancy name is Coyote Apollo Ace! He recently snuck under the backyard fence and ran into the street where he was unfortunately hit by a car. Coyote Apollo Ace needed a surgery called a femoral head ostectomy, which is the removal of the head and neck of the femur. 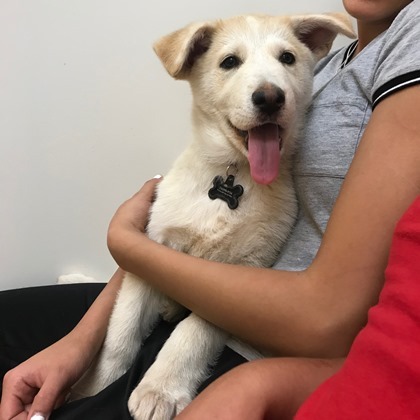 Coyote’s loving family worked hard to come up with a portion of the funds for his critical surgery, and with the help of a FACE grant, were able to get to the full amount needed. Thanks to our veterinary partners at the Veterinary Specialty Hospital of North County (San Diego) for performing Coyote’s surgery! 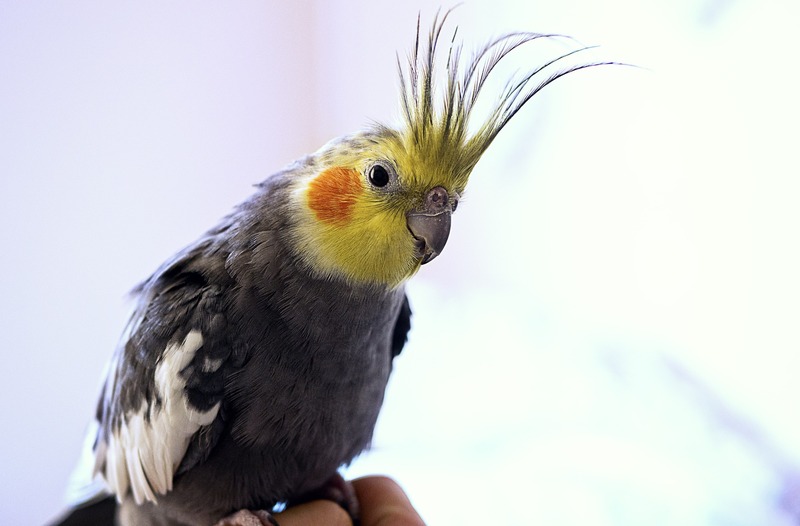 Back in January, the San Diego Humane Society took part in a large-scale rescue operation of 84 cockatiels from a one-bedroom apartment. 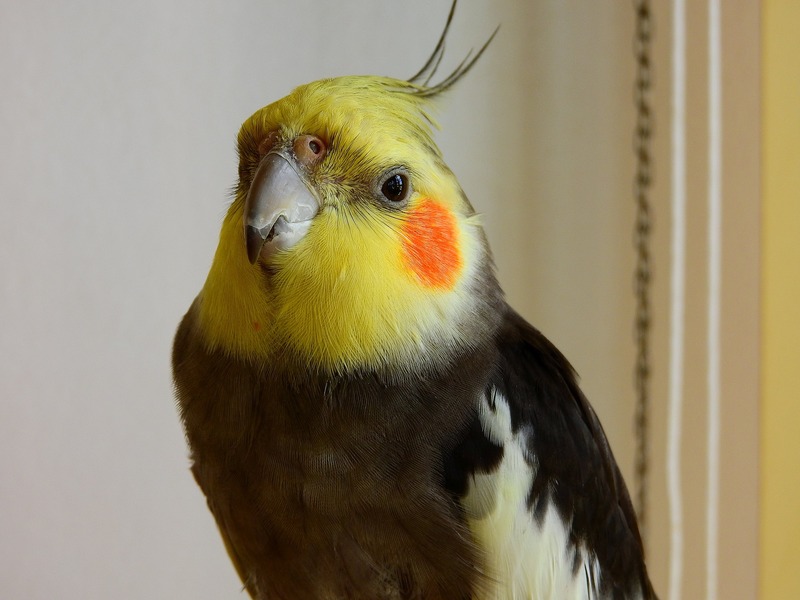 The rescue made the news and many interested adopters began contacting San Diego Humane about the birds. The cockatiels spent several weeks at the Humane Society receiving lots of TLC and were ready for adoption at the end of February. In a very happy ending to an unfortunate hoarding story, all the birds were adopted out in the first three hours! Meet FACE Success Story Marmalade! 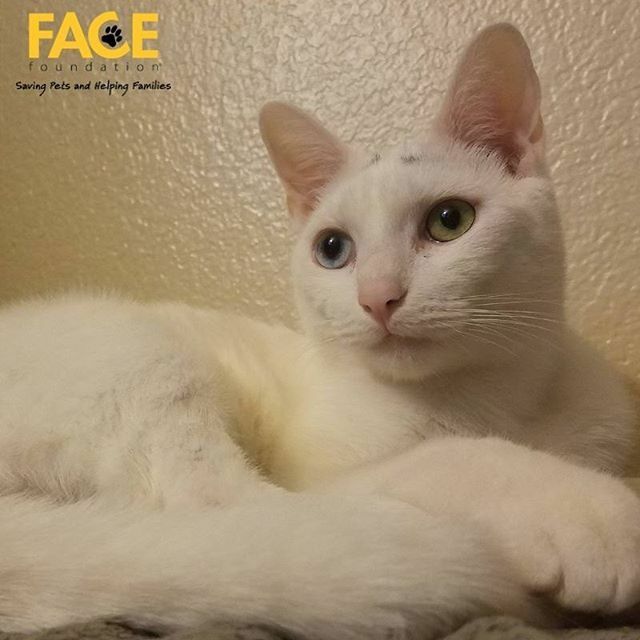 Marmalade is a beautiful odd-eyed white kitty who was diagnosed with a urinary blockage…one of the most common emergency veterinary health issues we help with FACE grants. Marmalade needed life-saving surgery to address his urinary obstruction, and we are happy to report that he is now recovering at home with his loving family. We’d like to extend *our thanks* to all of our kind donors and supporters for making success stories like Marmalade’s happen! Enter your email address to subscribe to posts by the FACE Foundation and receive notifications of new posts by email.